Go for casually cool in the laid-back style of the Toni Pons® Vic sandal! 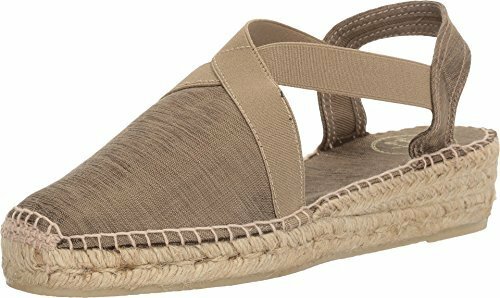 Espadrille in a sling-back silhouette. Uppers of durable textile materials. Elastic straps for easy wear. Lightly padded footbed for added comfort. Jute-wrapped midsole. Rubber outsole for long-lasting wear. Made in Spain. Lightly padded footbed for added comfort. Jute-wrapped midsole. Rubber outsole for long-lasting wear. Made in Spain. If you have any questions about this product by Toni Pons, contact us by completing and submitting the form below. If you are looking for a specif part number, please include it with your message. Old Shanghai Women's Kimono Long Robe - Peacock &, Purple, Size One Size.